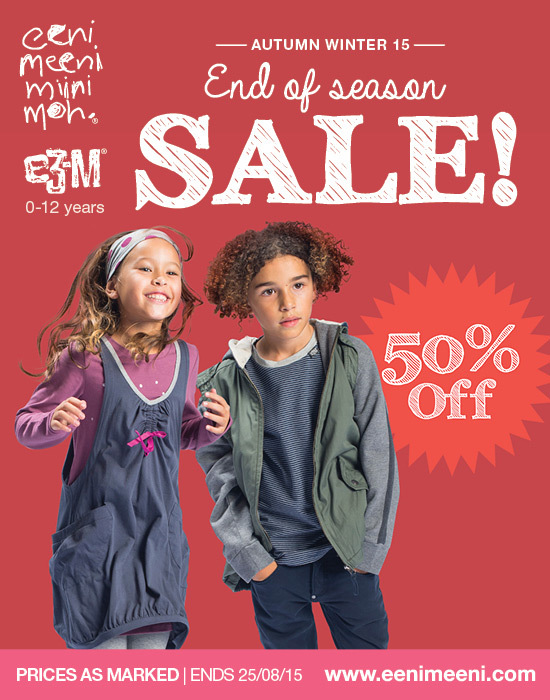 It's your last chance to scoop up children's clothes from the eeni meeni miini moh and e3-M Autumn Winter 15 collection at end-of-season sale prices - reduced by 50%! Many of the clothes in the collection for kids 0-12 years are trans-seasonal, and if you're like me, you'll be stocking up on next-size-up favourites for next year. See my pick of the sale from the AW15 collection right here. Hurry - sale ends 25th August 2015.